2.8 out of 5 based on 10 bloggers and 1 commenters. 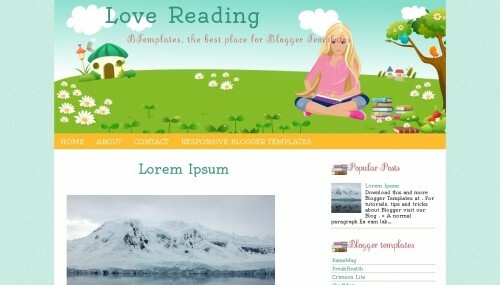 Love Reading is a free blogger template with 2 columns, right sidebar, an exclusive design for Blogger, well designed threaded comments, cute design, girly looking, floral motifs and vectorial elements. Excellent template for blogs about art, books, kids, nature or people. Nice template, i like it..